Shuttling tweens to soccer, karate, school, parties and everything in between translates into a lot of use for the younger sibling’s car seat. While safety is a top priority, so is portability and functionality. 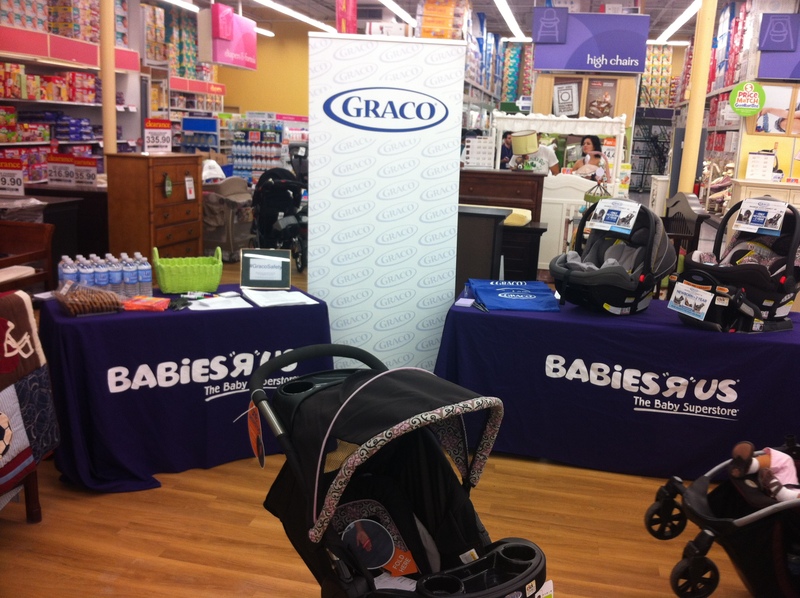 That’s why I was so excited to host an informative session on Graco’s SnugRide Click Connect 40 at the Babies “R” Us in Miami this past Saturday. 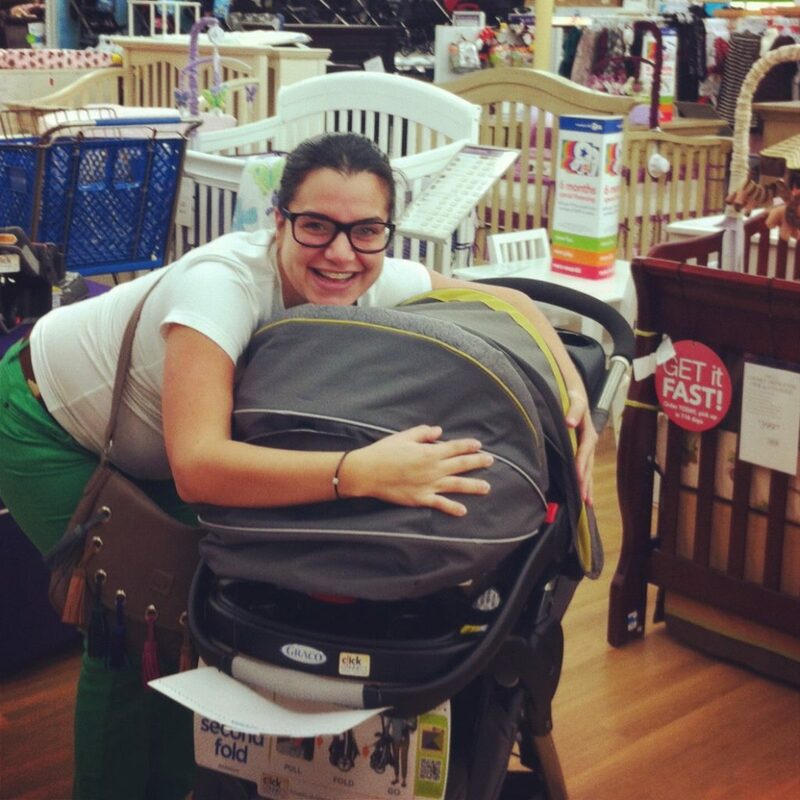 My c0-host Ana from Miami Mommy Savings and I were thrilled to see all of the moms, soon-to-be moms and blogger amigas who came out to learn all about the great features of this new car seat. The Graco SnugRide Click Connect 40 is the only car seat that keeps baby rear facing from birth to 2 years. It’s also extremely portable and has the ability to safely click right into Graco strollers. The seat adjusts to 8 different positions as baby grows. And it has a foot protector to keep the older babies from dirtying the seats in the car – a feature that my husband absolutely LOVES! 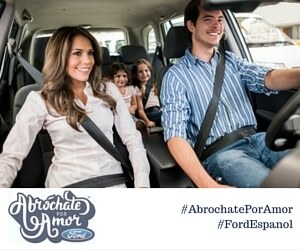 In 2011, the American Academy of Pediatrics issued a statement urging parents to keep children rear facing until the age of 2 for safety reasons. This was definitely news to me when I went shopping for our youngest member of the Los Tween’s family’s car seat last year. Being a mom of three, I can truly appreciate with the SnugRide Click Connect40 moms won’t have to install another car seat for at least two years and baby will be safe. After learning all about the Graco SnugRide Click Connect 40, we played a fun trivia game, took a few photos, answered questions and picked our car seat winners. Our second winner of the day was so excited she hugged the car seat! 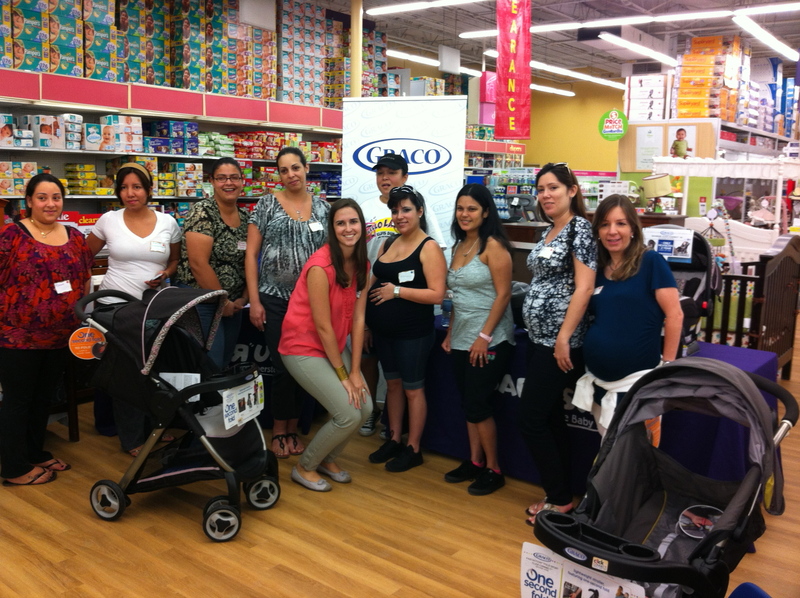 Laura, winner of the Graco SnugRide Click Connect 40, was so excited she gave the car seat a hug! I also have to add a special “THANK YOU” to the Babies “R” Us Coral Way team for working so hard to make the event a great success. We even had their “Car Seat King Carlos” (a name I gave him) on hand to help answer any questions on car seat installation. AND, last but not least, GIVEAWAY!!! Babies “R” Us is so fantastic that they are giving away a $25.00 gift card to our readers. To enter, comment on this post with one reason you love being or are looking forward to being a mom. Limit one comment per person. Giveaway ends on Thursday, November 1, 2012at midnight EST. Winner will be chosen using Random.org and will be contacted via email. View the event album on our Facebook page. Ana and I with all of the fabulous moms! This entry was posted in Younger Siblings and tagged baby, car seat, moms, Parenting, Tweens. Bookmark the permalink. ← Join Us for the Walk-N-Roll Twitter Party for Spina Bifida! I love being a Mom because I’m teaching my boys to be respectful Men – it’s so good to see them hold doors open and say Thank You. i love being a mom because of all the awesome hugs and I love you mama’s I receive. i can’t wait to be a mom (i’m expecting my first) – because i think it will increase my capacity to love! I love being a mom for all the love it represents and feels, greatest miracle in LIFE! I love being a mom because I feel so important, being trusted with the care of such amazing beings. 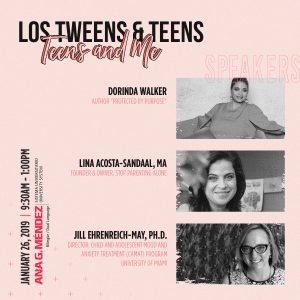 They look up to me and admire me like I don’t deserve and it makes me always want to do better. I love being a Mom to my 3 older children, ages 12, 13 and 17. I love to guide them in the right direction, nurture them and I’m also going to be a Mom to a new baby coming Nov 18th. I look forward to doing it all over again!! I have loved being a mom since day 1, but as my littles get older, I am finding that I love it even more. They are truly the light of my life, and fill my days with laughter and joy. I am looking forward to baby #3, and watching the sibling love grow. I’m expecting and I look forward to being a mom! I can’t wait to experience being a mother and raising a beautiful child of my own. I love being a Mom because its the greatest joy there is! Oh being a mom is the Greatest joy! So much fun watching each new step as they grow up! Toddler giggles are the best! I love being a mom because it is so fulfilling. I can’t wait to be a mom, have always wanted kids and it took us 4 1/2 years to conceive our boy. We are due to have him in January 2013 🙂 I can’t wait for all the love, hugs, kisses and smiles.